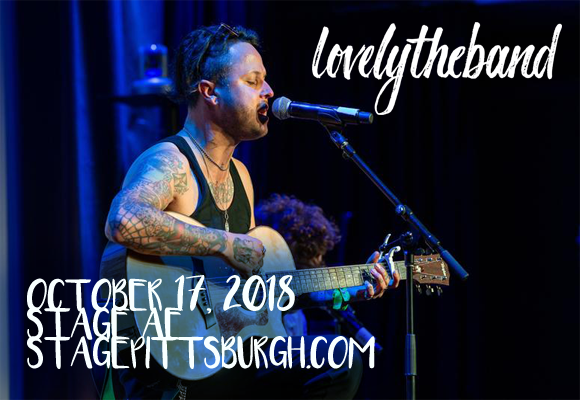 Up-and-coming indie-pop band Lovelytheband are headed to Stage AE on Wednesday 17th October 2018 on their Broken Like Me Tour! The group, who have won Billboard's favor, topping their Emerging Artists chart in October this year, are touring in support of their debut album, Finding It Hard to Smile. An introspective, yet thoroughly enjoyable record, their debut really shows that these guys know how to connect with their audience, so don't miss your chance to see them play live! Indie pop group Lovelytheband first formed in Los Angeles in 2016. The group consists of vocalist Mitchy Collins, guitarist Jordan Greenwald, and drummer Sam Price, who met at a nightclub in West Hollywood. The band's debut single, "Broken", was released in April 2017 and earned over three million streams on Spotify, as well as reaching the top spot on the Billboard Alternative Songs Chart, staying at number one for seven consecutive weeks, and the Billboard Rock Airplay Chart, where it stayed at number one for nine consecutive weeks. Their debut EP, Everything I Could Never Say…, was released in September 2017. In August 2018, the group released its debut album, Finding It Hard to Smile.